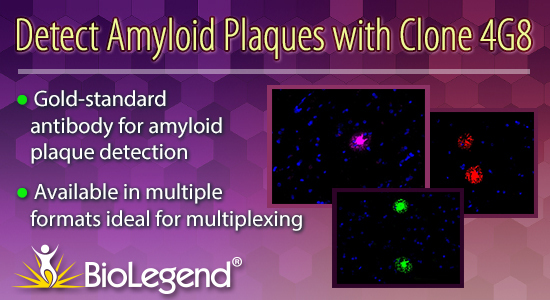 Copyright © 2018 BioLegend, Inc.
BioLegend develops and manufactures world-class, cutting-edge antibodies and reagents for biomedical research, at an outstanding value to customers. Our broad product portfolio includes flow cytometry, cell biology, and functional reagents for research in immunology, cancer, and stem cells. With the acquisition of over 600 former Covance Neuroscience antibody products in 2014, and the addition of a team of experienced R&D neuroscientists, BioLegend aims to advance and accelerate discoveries in neuroscience research by building a catalog of high quality and innovative tools. Our reagents support research within multiple neuroscience areas, with a great focus on the fields of neurodegeneration, neurodevelopment, neuroinflammation and basic neurobiology. 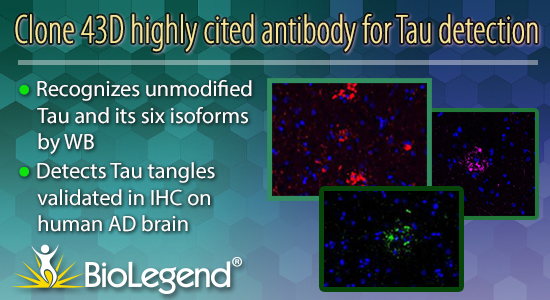 Protein Misfolding & Aggregation: We offer a strong portfolio of reagents that detect native and modified forms of key disease targets in neurodegenerative disorders such as Amyloid-beta, α-synuclein and Tau proteins. Cellular & Structural Markers: We provide an extensive collection of well-characterized and highly specific neuroscience cell and structural marker antibodies that allow detection of distinct cell populations in the brain for use in tissue section or cell culture applications. 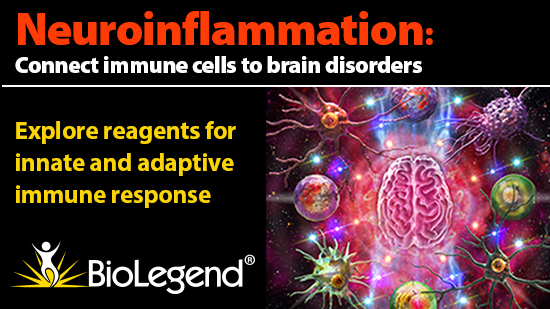 Neuroinflammation: With over 17,000 products, we offer vast coverage of key immunology products to interrogate inflammatory pathways in the brain. 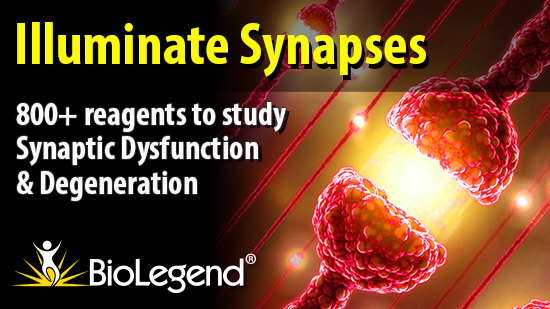 Synaptic biology: We offer a large portfolio of products to investigate synaptic function and the underlying mechanisms involved in the pathology of many disorders of the central nervous system. In addition, our portfolio includes a number of products to facilitate research into mechanisms underlying impaired protein trafficking and degradation, as aberrant protein trafficking and clearance contributes to the pathological accumulation of misfolded proteins commonly found in neurodegenerative disorders. BioLegend is certified for ISO 9001:2008 and ISO 13485:2003.